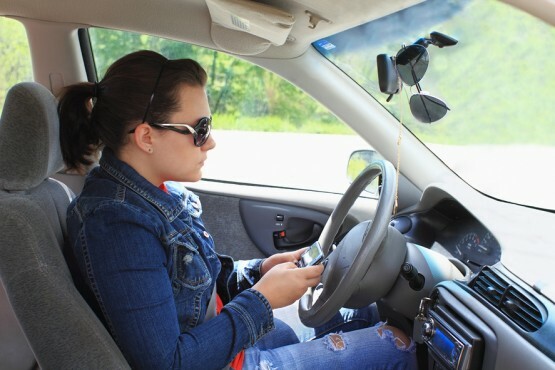 Vote: Do You Think Parents Should Control Teens’ Driving? As you learned on the show today, new driving technology allows parents to set limits on teens while they are on the road. For example, parents can program their child’s key fob get information on how far the child drove and what their top speed limit was. The new technology can also prevent the radio from turning on if the teen driver hasn’t put on their seat belt. Some experts say that using technology to set restrictions on teen drivers will teach kids how to develop safe driving habits and can save lives. We want to hear from you — do you think that parents should control their teens’ driving? Vote and tell us your opinion in the comments section below. We will feature the results of the poll and some of your answers on the show. Vote: Do you think the name “The Founder Generation” represents young people today? I don’t think that parents should control teens’ driving. Once their child gets their license or permit they should be responsible enough to drive a car cautiously and be aware of their surroundings. I think it is not a good idea because you shouldn’t have bought the car if you did not think they would drive safely. I think parents should trust their child to drive safely ,but i think that the music turning off when they don’t buckle is a very good and safe feature. If a teen passes their driving test they should be able to decide for themselves wear to go. The excitement of getting a license along with new freedom and responsibilities is taken away when driving is controlled like that. I don”t think parents should place restrictions because eventually we won’t have adults there to place restrictions on our driving. It’s 50/50 because I drive well and I’m a teen, although there SO many distractions. Such as: phones, friends, music, etc. i think its a good thing because i don’t want to see young lives being taken or hear about it on the news it just breaks my heart !